The Archdiocese of Baltimore has learned of three allegations of sexual misconduct against Father John Wielebski, 62, pastor at Resurrection of Our Lord Church in Laurel. All of the allegations are related to acts which allegedly occurred in the mid-late 1980s while he was serving at St. Dominic Church, Baltimore, and the Monsignor Clare J. O’Dwyer Retreat House in Sparks, Maryland. 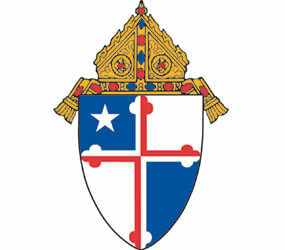 While investigating the initial allegation of sexual abuse of a minor made against Father Wielebski, the Archdiocese also learned of additional allegations of sexual misconduct involving Father Wielebski and two young men. The Archdiocese has been cooperating and sharing information with the civil authorities and on December 18, after receiving permission from civil authorities to make contact with Father Wielebski, representatives of the Archdiocese met with him to discuss the allegations. He denied all the allegations against him. At the conclusion of the meeting, the Archdiocese removed Father Wielebski from ministry and revoked his faculties to function as a priest, pending the outcome of its investigation. In cooperation with the investigation by civil authorities, public disclosure of the allegations was delayed until January 10. On that day, representatives of the Archdiocese met with parishioners and staff at Resurrection of Our Lord Church to inform them of the allegations and to answer questions. The Archdiocese is working with the parish and staff to provide pastoral care to the Resurrection of Our Lord community. In accordance with Archdiocesan policy, counseling assistance has been offered to all those affected. In July 1978, John Wielebski was ordained a priest of the Order of the Most Holy Trinity, a religious order also known as the Trinitarians. He was incardinated, the process whereby a diocesan or religious order priest becomes a priest of another diocese, into the Archdiocese of Baltimore in 1988. Prior to his incardination, Father Wielebski served at Sacred Heart, Glyndon, 1974- 1978 (as an intern); U.S. Penitentiary, Marion, IL, 1978-1981; Holy Trinity Monastery, Pikesville, 1981-1983; Redeemer House Shelter, Baltimore, 1983-1984; St. Bernard, Baltimore, 1984-1985; and St. Dominic, Baltimore, 1985-1988. Following his incardination, Father Wielebski served at the Msgr. Clare O’Dwyer Retreat House, Sparks, 1988-1991; St. Patrick, Cumberland 1991-1996; Sacred Heart, Glyndon, 1996-1999; and Resurrection of Our Lord, Laurel, 1999-2009. The Archdiocese of Baltimore is committed to protecting children and helping to heal victims of abuse. We urge anyone who has any knowledge of any child sexual abuse to come forward, and to report it immediately to civil authorities. If clergy or other church personnel are suspected of committing the abuse, we ask that you also call the Archdiocesan Office of Child and Youth Protection Hotline at 1-866- 417-7469. If you have any other information relevant to this matter, please contact the Archdiocese Office of Child and Youth Protection at 410-547-5599.